Businesses in Oklahoma OK should look no further than Capital Exhibits. Whether you are located in Oklahoma City, OK Tulsa, Broken Arrow, Lawton or any of the surrounding areas, we can provide you with the best 3D rendering design & graphic design options in a timely and affordable manner. 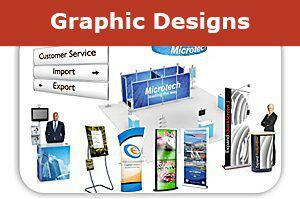 Ask about our poster printing services for indoor and outdoor use. Our professional designers can provide all types of 3D rendering design and graphic design in one day if needed in OK.
At Capital Exhibits, we believe in helping you “Build Your Best Image.” When you partner with us, you’ll find that we offer more than a 3D rendering design or graphic design contract – you will be collaborating with a branding design specialist to improve your overall brand recognition and see a positive impact on your bottom line. By developing a better understanding of your business objectives, we can use our graphic art design services and 3D rendering designs to build functional yet attention-grabbing custom displays that fit within any financial plan. 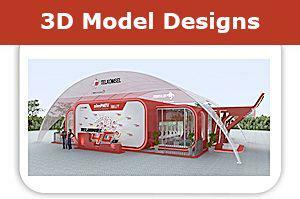 Capital Exhibits can help you to create your best trade show booth concept from start to finish. We offer a wide variety of trade show displays such as retractable banner stands, pop ups, portable exhibits and tabletop displays. We can even offer personalized QR Codes on your displays that can link potential customers straight to more information through their smartphones. Combining traditional printed materials with the latest graphic design trends & techniques helps create a lasting impact on your soon-to-be clients. Our trade show graphic design experts can create a custom display using different dynamic components at an unbeatable price. Our exhibits are professionally designed and constructed while being easy to transport. Do you have an in-house media specialist but need that special something that only comes from professional graphic design firms? Let Capital Exhibits provide you with graphic art design services, banner design artists, or brochure design work to take your brand to the next level. We work along with you every step of the way to make sure you’re getting exactly what you need. Want to find out more? Simply call (866) 730-3746 and speak to one of our design experts for more information about logo design prices, print design pricing, and all other graphic design quotes & rates. Alternatively, you can email us at [email protected]. We look forward to hearing from you!